Organic search is still content marketer’s ultimate goal: It drives traffic that lasts for months (years if you are lucky) and converts very well. Nothing beats that in online marketing world. So how to make sure your content is “rankable”? Let’s discuss!
. 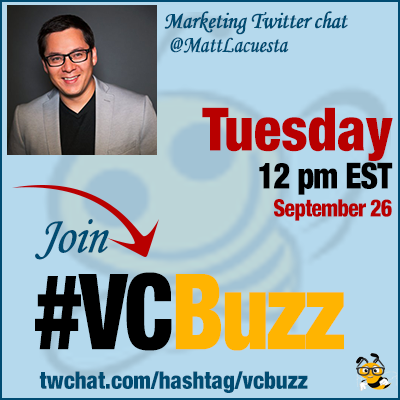 @MattLacuesta is a Digital Marketer specializing in all aspects of digital marketing with a passion for organic search. Matt runs @SEObeers in Denver and does SEO for @integergroup. Q1 Why organic SEO? It’d not the most exciting thing to do as it provides pretty slow results, so why are you passionate about it? It’s always changing and no problem is ever exactly the same. I like the thrill of the hunt for SEO issues. Plus, I like to learn new things which is great since there is always a need to adapt. Might get bored otherwise! It’s been a fun ride so far. Any of you have much experience with SEO? Q2 What are the essential steps for a page SEO audit? How to tell if your content is findable? There are a lot of steps, but I’ll provide some highlights followed by a helpful link. When auditing a specific page, I like to use Varvy as a quick look for other issues. So fast and easy! Now a days, you also need to run your page through Page Speed Insights. And don’t forget about being mobile friendly! Use the Mobile friendly Test. Check your robots.txt, x-robots and metas to ensure you’re not blocking the engines from seeing your content, happens a lot! I see variations of disallows and no index quite a bit when new sites/pages roll out from developing environment. It is! Time is running short, I think we’ll see some shakeups in regards to mobile in the coming weeks. Q3 What are some SEO resources you recommend our buzzers bookmark and read? Here’s a good piece on steps for an audit from @ahrefs VERY helpful if you’re just learning. Learn about Mobile first Indexing from @mobilemoxie and @suzzicks. They’re so smart! I love this Cruft Finder post and Tool from @balibones & @goinflow to find pages creating index bloat. This will help you with your audit takeaways: How to Prioritize SEO tasks from @britneymuller @moz. Finally, get your content seen! 43 Ways to Drive Traffic to Your Site from @dohertyjf and @getcredo. HA! It isn’t going anywhere, but it is always changing. The foundational stuff is still there though. There are so many aspects to look at as an SEO these days that we’re just spread a little thinner. GOOD content, mobile aspects, user engagement, technical aspects….SEO isn’t just keywords! Oh boy! There a lot of tools that I use, but I’ll share the ones that are the most helpful and used regularly. I mentioned @screamingfrog earlier, it’s the best crawling tool for the money. Crawls sites and highlights so many opportunities. @ahrefs, @moz, @semrusuh are very popular and they’re great and there’s a lot more to try! If you’re looking at sites other than your own, you need to check out @BuiltWith (free) to get some insights into the back end. I haven’t but I will check it now! @answerthepublic (free) is great at finding the questions people are asking when creating your content strategy. @keywordtoolio (free) for discovering keywords people also search for related to your keyword categories. @gtmetrix (free) is great from an auditing standpoint and gives some good speed & technical insights. Third party tools are scraping search results for “people also searched” terms and the keyword planner API. We don’t get organic keywords anymore, but I say just create content relevant to your key words and you’ll be just fine. I know I mentioned it earlier, but Varvy (free) is great to give you a quick look at things and tells you why they’re important. Accessibility can affect user engagement which may affect things. Accessibility is for UX. Also, lawsuits are becoming a big thing for brands whose sites aren’t ADA friendly. Do you always follow these steps or do you make exceptions sometimes?